The Fleep OneDrive integration lets you post files from Microsoft OneDrive without leaving the Fleep interface. The setup is super easy as the integration is built right into Fleep. Click on the + button in the message box area and click on Choose from OneDrive. 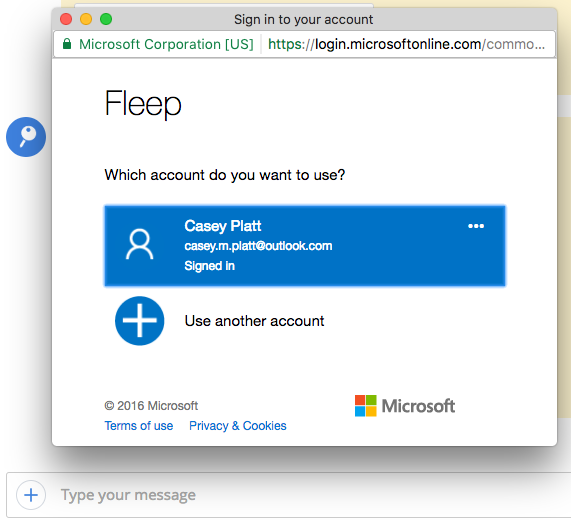 If you’re using the Fleep OneDrive integration for the first time, a popup will appear, prompting you to choose or sign in to your Microsoft account. 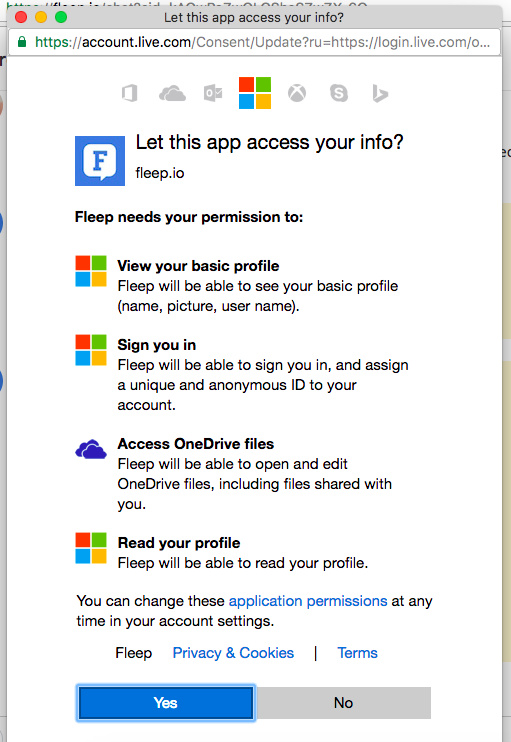 Once you’ve signed in, a popup will appear requesting permission to let Fleep access files from your OneDrive (if it does not, make sure you have enabled pop-ups for https://fleep.io in your web browser). Click on Yes to proceed. After giving Fleep access, you will see the insides of your OneDrive. Select the file you wish to share in the Fleep conversation, hit Open to load it and then send it in Fleep when ready. The files you select from OneDrive will also be added to the File Drawer of that Fleep conversation. P.S. Please note that the Fleep OneDrive integration supports only files up to 1GB in size, and is only available in the desktop version of Fleep (web browser, Fleep Windows App 2.0.81 or later and Fleep Mac App 2.5 or later).